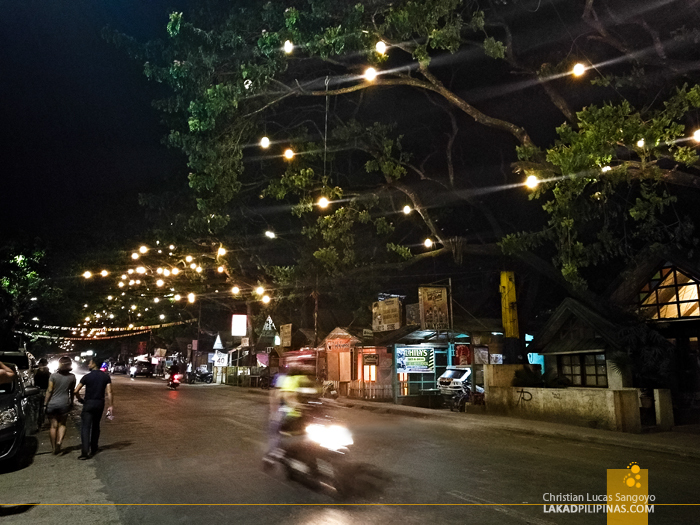 “It’s crocodile mating season in Balabac and they’re pretty aggressive during this time” our tricycle driver shouted over the wind as we were hurled across the lantern-lit roads of Puerto Princesa. We just came from their brand-spanking new airport, backpacks in tow at the back of a tricycle, and it disheartened us to hear this news. 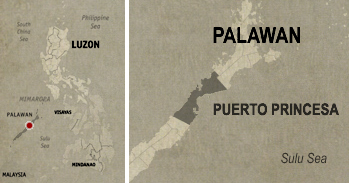 Our host had already warned us that the weather wasn’t really favorable on our chosen date for Balabac, the southernmost town in Palawan, and now this. 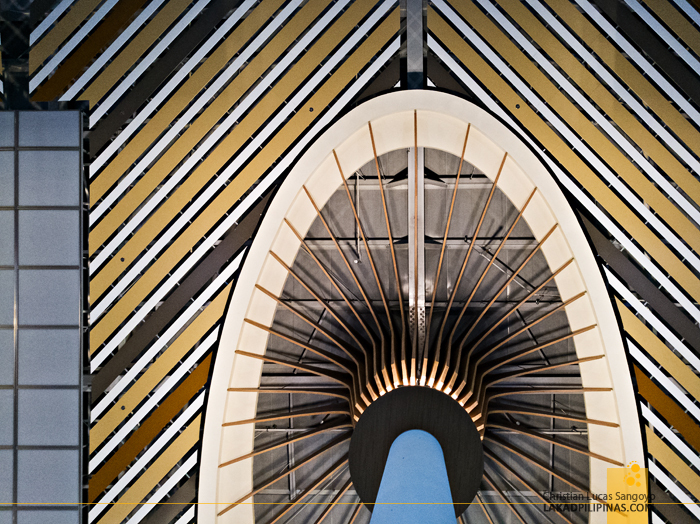 It definitely added to our apprehension of pushing ahead with our planned getaway. Without a Plan B and unsure of our next move, we decided to regroup at one of the most famous and pioneering food places in Puerto Princesa, Rene’s Saigon Restaurant. It used to be that you can walk from the airport terminal to Rene’s chao longan, but the new airport terminal is now located farther away—like one tricycle ride away. Tired from the flight, we decided to recharge first before tackling the problem of where to actually go next. 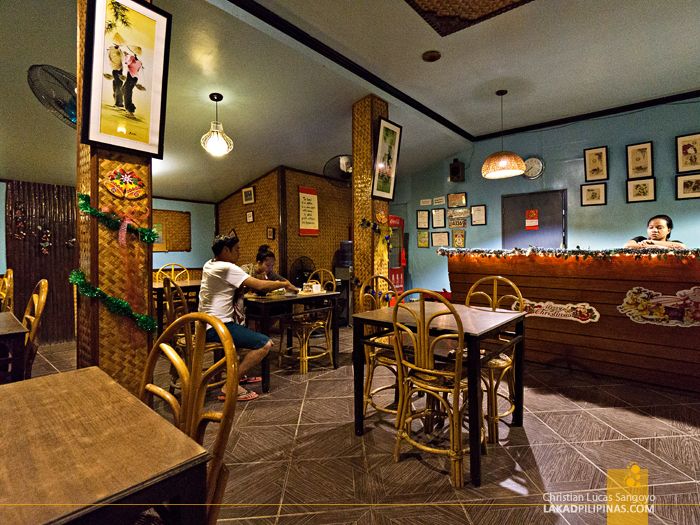 Rene’s Saigon Restaurant, or more popularly known as Rene’s chao long, is a fixture when it comes to the Puerto Princesa food scene. But what exactly is a chao longan? 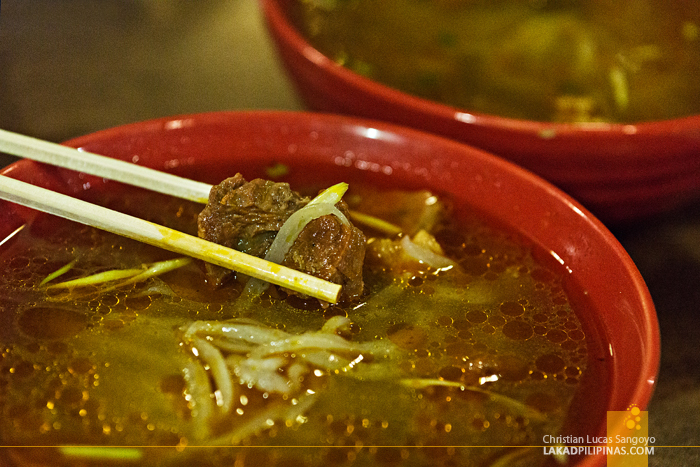 It’s an eatery serving chao long, or beef stew noodles, a Vietnamese dish with reddish soup popular in Puerto Princesa. Rene’s started out as a carinderia along the Vietnamese refugee camp in the city with her mother, a pure Vietnamese working on another restaurant specializing in pho, helming the kitchen. 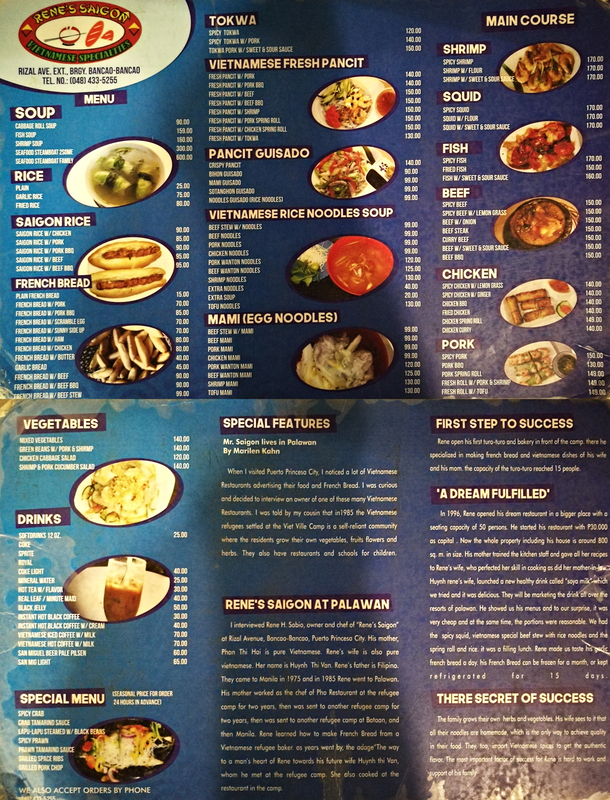 Their business eventually grew until they opened what is now known as Rene’s Saigon Restaurant along Rizal Avenue Extension. Sadly, you won’t find any pho on their menu although there are familiar dishes on it like our favorite bahn mi, which they call French bread, and cha gio, or fried spring rolls. 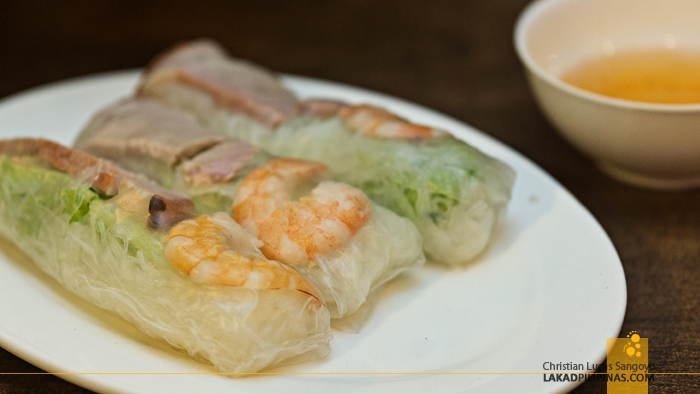 Their main specialty though, as you would’ve guessed by now, is chao long. But chao long isn’t what it really claims to be. In Vietnam, it means congee with pork innards, or what we call goto here in the Philippines, but in Puerto Princesa, chao long is beef stew packed with slightly thick noodles and extremely tender beef cubes—which in turn, is called bo kho in Vietnam. 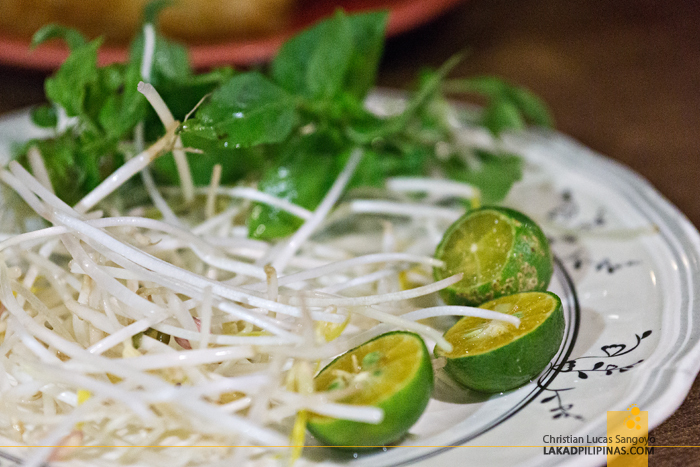 It’s served with a side of basil leaves, bean sprouts, and a few pieces of calamansi. You mix them all in, then you dig in. We ordered a few bowls of this plus servings of fried pork spring rolls (cha gio thit!) and fresh spring rolls with shrimp. Our very Vietnamese dinner arrived even before we can start formulating a new plan for our Palawan trip. 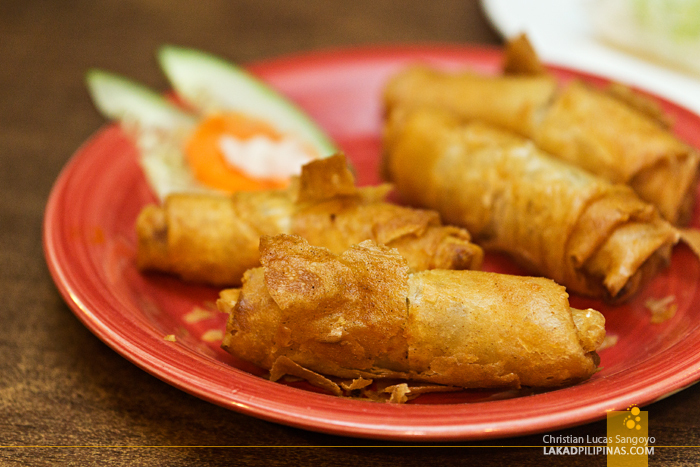 The serving size for the chao long was pretty generous for a single person with a regular appetite. But for me, it was perfectly alright. 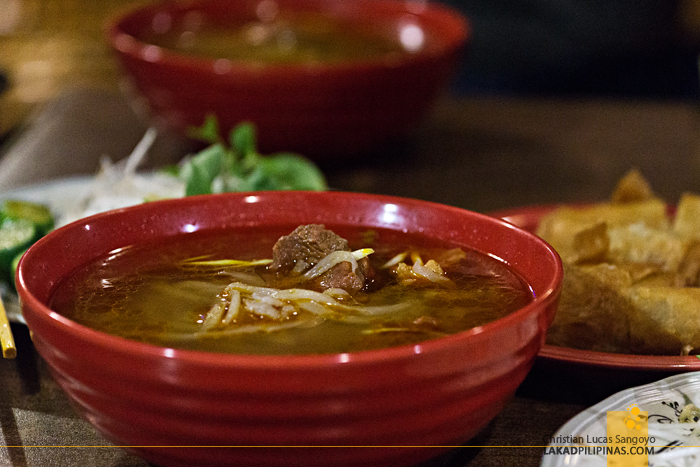 The soup, with a reddish tinge from atsuete or annato, has a clear, refreshing taste with a note of sweetness. The noodle is firm and is complemented well by the crisp bean sprouts. I left the basil leaves out, I don’t like basil leaves. Lol. I’m also not a fan of Vietnamese fresh spring rolls due to its vermicelli noodle fillings, but my friends all agreed it was pretty good, especially when dipped on the slightly sweet vinegar dip. What I’m a fan of is Vietnamese fried pork spring rolls. And it is quite superb even if it tasted more like lumpiang shanghai, which by the way is also one of my all-time favorite Filipino food, than its Vietnamese counterpart. Our recent summer trip concluded with a three-week travel in Vietnam and this is just what we needed for our Vietnamese food hangover. You can tell, the food from our table was gone faster than you can spell chao long. And as we sat there, all sweaty from the hot soup and rubbing our full tummies in contentment, we realized that we still didn’t have a Plan B.